Poetry as a form of literature long predates the existence of the written word. Its use of rhyme, rhythm, and literary devices, such as metaphor and simile, helped make possible the memorizing of long verses long before the advent writing. Though not as popular today amongst readers, it endures still in the popular culture, particularly in hip hop and rap. The development of an understanding of poetry, how it works, and how to produce it greatly benefits our students. Not only from the point of view of learning about our literary heritage, but also in enriching students’ lives and helping them to develop their own creativity. Poetry, if it achieves anything, offers us new perspectives on things we are already familiar with. It attempts to restore our childlike curiosity about the world by presenting us with familiar things in a new light. There are many types of poetry and in this article, we will look at seven poetry forms every teacher should be teaching and how students will benefit from their teaching. Traditionally, a haiku is a prescriptive form of Japanese poetry that follows a tight syllabic structure that juxtaposes two subjects, usually related to a natural or seasonal phenomenon. 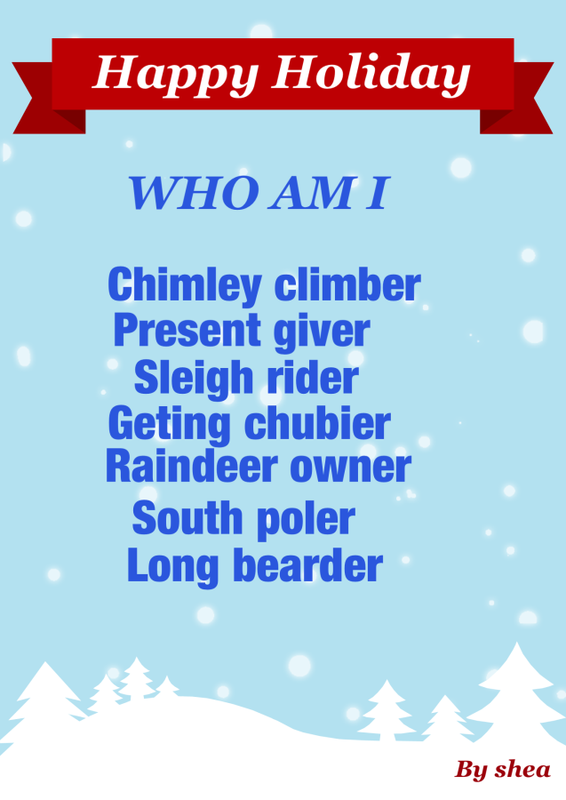 This is a short form of poetry that requires students to consider closely the sound of each syllable. This reinforces the importance of poetry’s origins as a spoken art form. It can be quite meditative too, as it requires considerable concentration on the student’s part. Often haikus will utilize literary devices such as metaphor or personification, so they can be used as a means of consolidating work in these areas. Students are also afforded an opportunity to be introduced to some elements of Japanese culture. A type of poetry where the shape and layout of the letters and words on the paper relate to the poem’s meaning. Calligrams are also commonly called Shape Poems. Calligrams bridge the gap between literary and visual art forms. They encourage students to weave together their understanding of the written word with their artistic side. Work on producing calligrams can often easily be linked to learning objectives in art and design based subjects. Students are often very inspired by this form of poetry and can surprise with their astonishing creativity. Calligrams also make for great content for a display board which students can take pride in. With origins that stretch back to the early years of the 18th century, the limerick’s popularity endures. Usually humorous, the limerick often veers into vulgar territory, so depending on the age group, be sure to lay some content ground rules! Students will often be familiar with this form and take great delight in producing their own. The rhyme and rhythm of limericks is extremely regular and can be a great way to introduce the idea of metre in poetry. 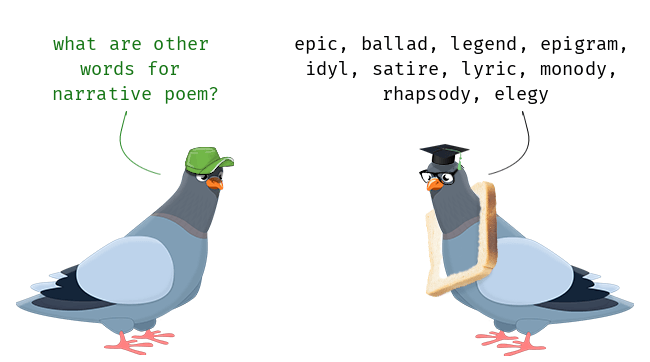 Limericks also offer wonderful opportunities for exercising of the funny bone! As the name suggests, narrative poems essentially tell a story. As poems were easier to commit to memory, narrative poetry has its origins in oral traditions. This form employs literary devices, often regular metre, to tell a story frequently in the voice of a narrator and/or the characters in the tale. Students creating their own narrative poems will avail of an opportunity to reinforce their understanding of the narrative arc. This form also makes fluid links to dramatic performance, as it is usually a straightforward process to adapt a narrative poem for the stage. Kennings are derived from Old Norse verse. They are poetic compounds used in place of a single noun. The compound will relate to the characteristics of the original noun itself. For example, battle becomes spear-din. We can see examples of Kenning-type coinings frequently appearing in our everyday speech in words such as, bookworm, mind-reader, and motormouth. Setting your students the task of writing a series of kennings based on a particular word is a great way to get them to think deeply on that word. They must deconstruct their understanding of the given noun and build two-word phrases that describe the thing in all its roles. This can be a super task to set as a prewriting exercise before embarking on an essay or other longer piece of writing. While the word ‘free’ in this form may conjure up images of the wild scribbling of emotional ‘vomit’, there is more to this form. While the structure is extremely loose in comparison to the tyrannical nature of the sonnet described below, it is not mere prose. Check out the features below to get to grips with this often misunderstood form. The comparatively unrestricted nature of this form gives students’ imaginations freer rein. This means too that free verse is a superb form to give students opportunities to practice their use of the literary devices mentioned above. The sonnet is an extremely technical form of writing that stands in stark contrast to the relative anarchy of free verse. Though its origins can be traced to at least 13th century Italy, there are numerous structural variants. Its popularity among poets such as Milton and Donne exposed a wider English-speaking audience to its rigorous structures. Many students are first exposed to this form through Shakespeare’s sonnets and that is the form whose features we examine below. As mentioned, this is an extremely technical, and therefore demanding, form of poetry. Students will need a lot of illustration with examples. Luckily, Shakespeare provides us with 154 beautiful ones! This will present students with opportunities to get to grips with complex terms such as iambic pentameter, quatrain, sestet, couplet etc. The difficulty of the form also provides one of its greatest benefits. It is fun in the same way challenging activities such as sudoku or crosswords are fun. Writing sonnets will test any student’s problem-solving abilities to the max, but the rewards are high! As we have seen, the benefits of poetry in the classroom are extremely varied, as are the forms of poetry itself. Developing a student’s poetic abilities not only has implications for their poetry writing capabilities, but will improve their writing skills in general. Literary devices are not the exclusive domain of poetry, we see them everywhere in the written word, from novels and scripts, to advertisements and newspapers. Poetry too teaches creativity and that reflection is required to really see into something. It teaches the importance of prewriting planning, drafting, and redrafting. It shows students that getting artistic with words is not so much about inspiration as it is about craft and that skilled craftsmanship comes only with diligence and perseverance. Is there a better lesson to teach our young people than that?